Aquaman is universally mocked because people see his main superpower, being able to telepathically communicate with seafood, as a joke. They’re missing the big picture. 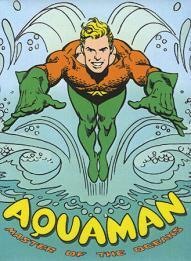 Seafood is expensive, and if he wanted to, Aquaman could pretty quickly become one of the richest men in the world. I just bought some Alaskan king crab legs, and they were over $20 a pound. If I had the ability to talk to these crabs, I could just park a truck somewhere and Pied Piper their asses right into it. The same thing goes for Bluefin tuna and Beluga sturgeon. The global fishing industry is a $100 billion a year business. Aquaman could easily capture a sizeable percentage of that by building processing plants and luring sea creatures directly to them. Since his raw materials are free, he could also drive most of his competitors out of business overnight. I project he could be richer than Bruce Wayne in five years and Tony Stark in seven. Then we’ll see who’s a laughingstock when Aquaman is buying and selling your sorry asses.